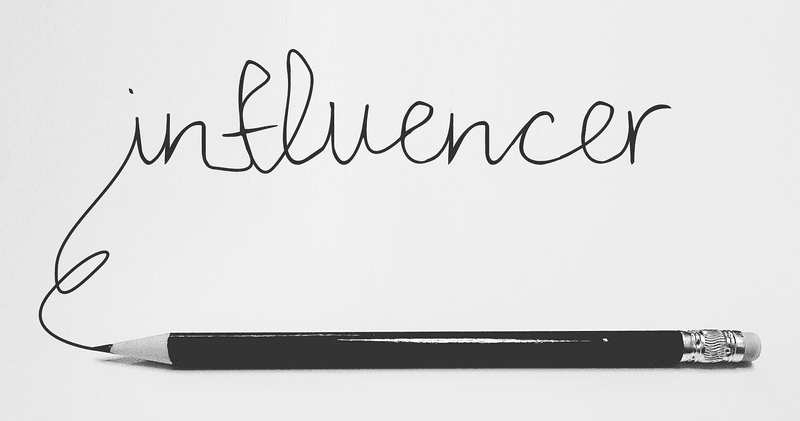 Influencer Marketing became a digital marketing stable now. With Influencers earning between 50$ per post to over 500,000$ per post (Kardashians, for example). With a few hours of work, you can find and reach out to a good influencer who matches your brand. But before sending your proposal, how do you maximize the results you get from your influencer marketing campaign? Instead of just a photo of your product on their social accounts, you can get a lot more for your money. We’ll walk you through 6 tricks and tips to help you maximize your results, bring you more traffic and, even better, more paying customers. 1- Get clear on your goal. Even before you start searching for influencers, it’s better to set clear goals from the beginning. Are you doing this collaboration to get more brand exposure and just get known? To promote a new product? To get more sales? Or do you want to put your products in the hands of your target audience to drive more word of mouth? Getting this clarity from early on will help you choose the right influencers, strike the right deals, and ultimately get the best ROI for your influencer campaign. 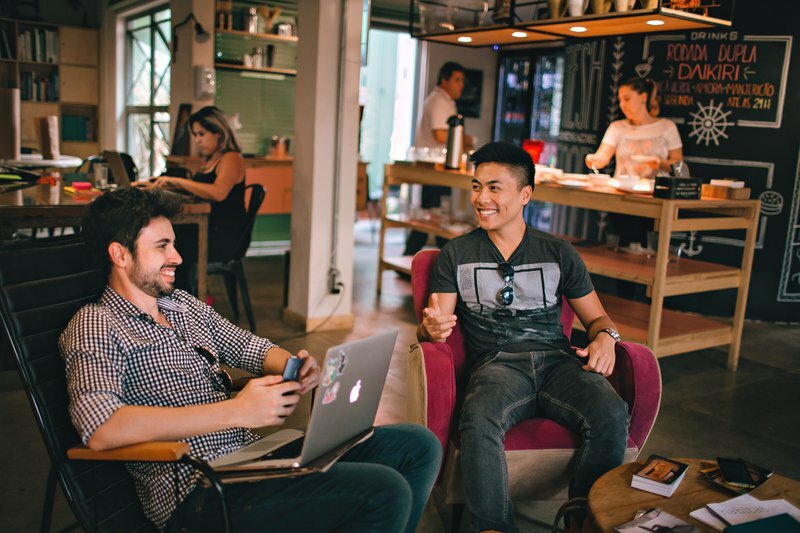 Choosing influencers that you’re interested in what they do, actually expressing that interest and making the collaboration an enjoyable experience for them can make them fall in love with your company. Instead of dealing with the campaign as a transaction, try to build a good relationship with the influencer. This can lead to not only having them as fans who rave about your company and products, but most importantly they’ll have an extra reason to give you the best possible shout-out for campaign. You want traffic/sales/leads..etc. and they want more fans! Arranging a giveaway on the influencer’s profile using your products, is the absolute win-win in influencer marketing. This one is an example of a giveaway collaboration on Sarah Nourse's IG profile with NuMe Style. A- You’ll get brand more exposure to the hundreds or thousands of the influencers’ fans who will participate in the giveaway. B- It increases the value you’re giving in the deal, which can mean less cash for more free products from your company. C- It adds more value to the influencer’s fan page, getting them more traffic, engagement and, even better, more fans! D- You’ll put the products you gave away in the hands of your target audience. Which means if they liked it, they’ll start spreading word of mouth about your brand in their social circles. 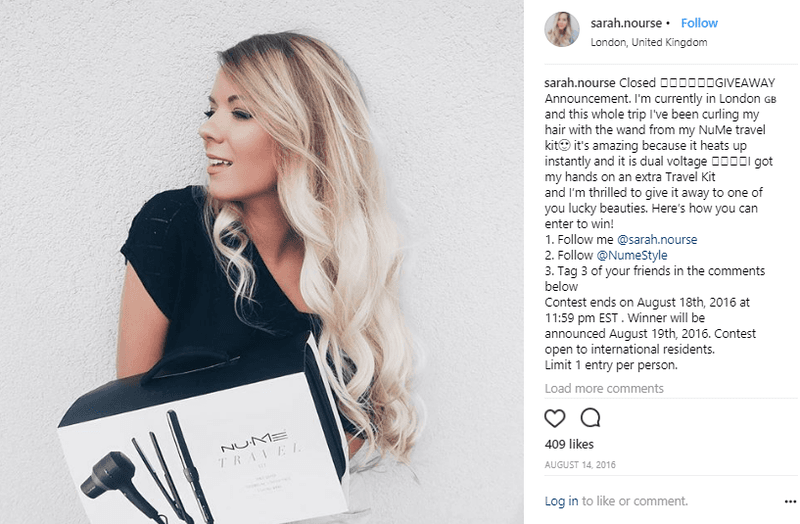 Instead of hosting giveaways, the influencer can host a contest in which people are prompted to take a certain photo or upload a certain piece of content using a special hashtag and tagging the influencer’s and your brand’s social profile. One of the most famous, and loved, examples of consumer generated content (although it’s not influencer-based) was Starbucks' #WhiteCupContest It was a competition to take a photo of your Starbucks cup after you draw/doodle on it. It will spread word of mouth and ,if done right, it can increase the exposure of your brand dramatically. This is one of the oldest tricks in the book. Give the influencers a limited-time discount promo-code to include with their shout outs, so that when their audience see the post they have an extra reason to make a purchase now, instead of just pressing the “save for later” button. It’s bringing the two worlds of content marketing and influencer marketing together. Simply put, this means that instead of just taking a picture of your product and posting it, the influencer will create a piece of content, that the audience would actually like, in which they actually use your product. This tactic is best used in the food and beverage industries. One of the best examples on this trick is Instagram’s beloved “Twisted” channel. Instead of just taking photos of the Chimichurri spice mix sachet and tagging the brand, they made a video for a recipe that actually uses the spice mix. It’s a piece of content that the audience are actually interested in, giving them a reason to buy the product and try the recipe. Try applying these tricks in your next influencer campaign and tell us how it went. You can join the conversation on LinkedIn, Instagram, Facebook, Twitter or Medium.